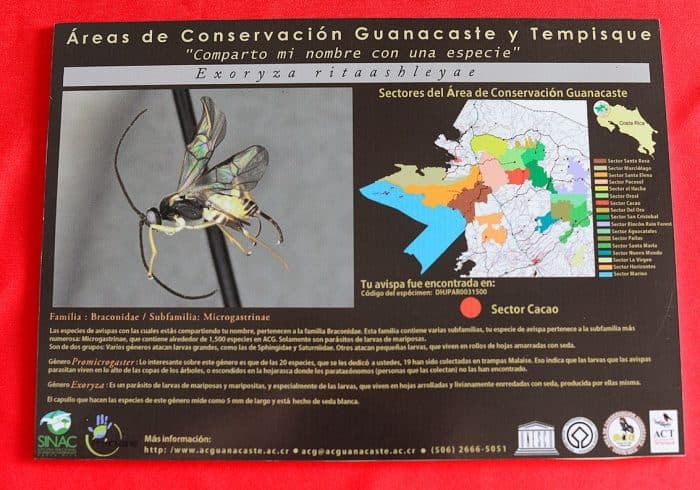 HUACAS, Guanacaste — Twenty Costa Rican schoolchildren drew their way into the (natural) history books this year and became the first kids in Costa Rica — and probably anywhere — to have wasp species named in their honor. 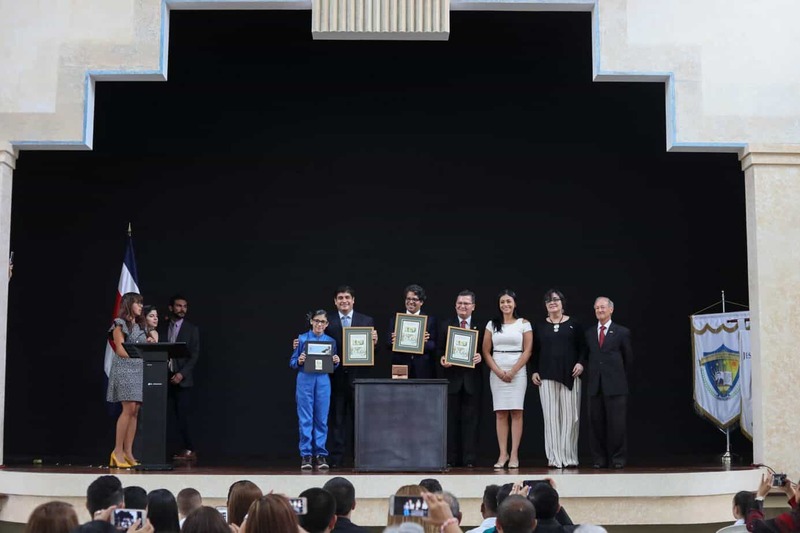 The students, who are 4th, 5th and 6th graders from a handful of small communities in the northwestern province of Guanacaste, were the winners of a drawing contest called Comparto mi nombre con una especie (I share my name with a species). 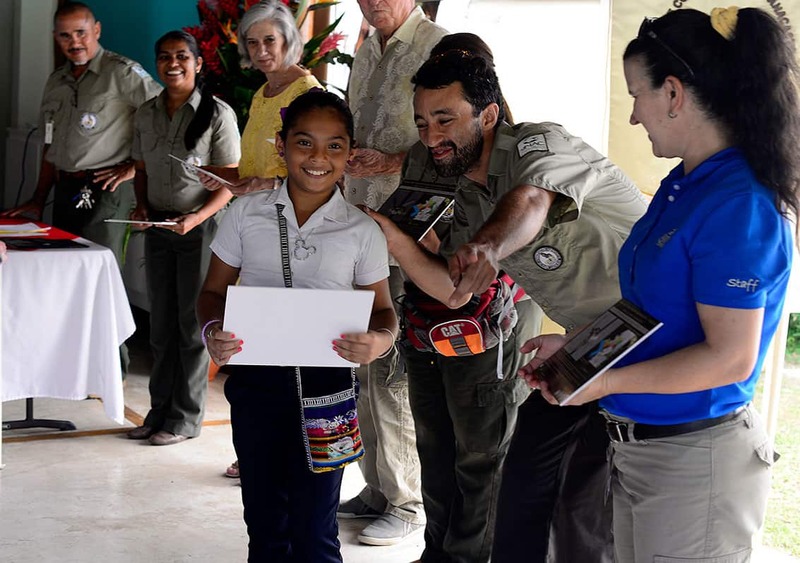 At a heartwarming ceremony on Dec. 4, each student received a plaque bearing their species’ name, photo and a description along with a map showing where in the Área de Conservación Guanacaste (Guanacaste Conservation Area, ACG) it was first collected. This distinct honor came as a result of a donation that retired U.S. expats Richard and Rita Ashley made in August in support of ACG’s parataxonomy program, which works to collect and identify new species of butterflies and their parasites (including certain wasps) in the conservation area. 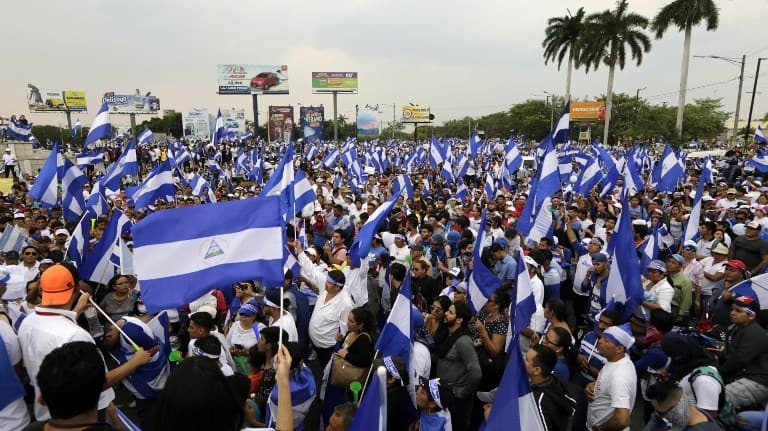 The donation will go toward the purchase of a bucket truck, which will allow the parataxonomists to collect specimens from the canopy of the rain forest and dry forest. 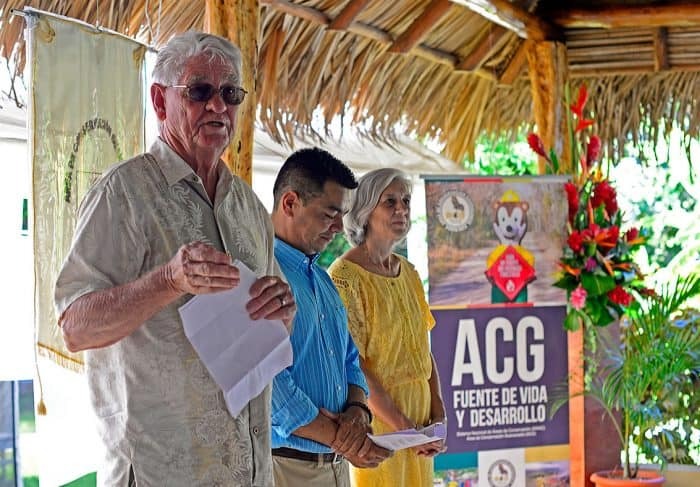 When Dr. Daniel Janzen, technical adviser to ACG, expressed his wish to dedicate a group of 20 new species to friends of the Ashleys in recognition of their support, the Ashleys asked that the species instead be dedicated to local children. To choose the children the species would be named for, environmental educators from ACG and Área de Conservación Tempisque (Tempisque Conservation Area, ACT) organized the drawing contest for students at a school in Colonia Bolaños, along the highway from Liberia to La Cruz. The school participates in ACG’s Biological Education Program. Four other schools were chosen from the Santa Cruz area, where the Ashleys live. During September and October, educators from both conservation areas met with students at the participating schools to teach them about the characteristics and importance of the tropical dry forest found in the province of Guanacaste, and explain the rules of the contest. 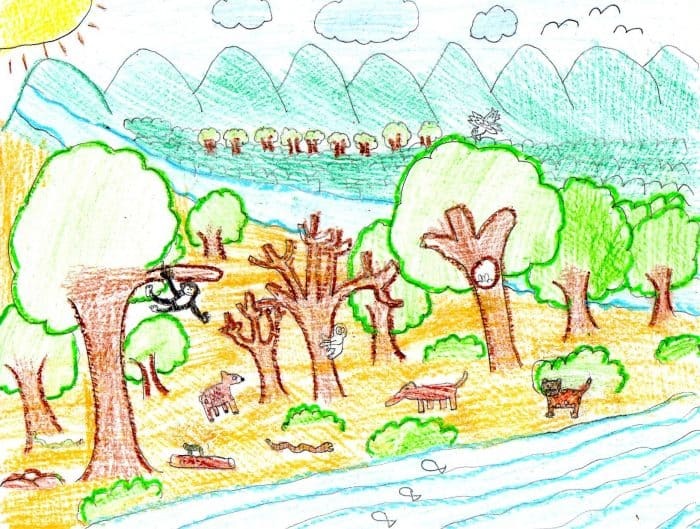 “[The students] studied the tropical dry forest and then drew their concept of it,” explained Rita Ashley, who volunteers as an English teacher at one of the participating schools. About 127 students participated in the contest, and the Ashleys, along with teachers from the schools and educators from the conservation areas, selected the 20 winning drawings. 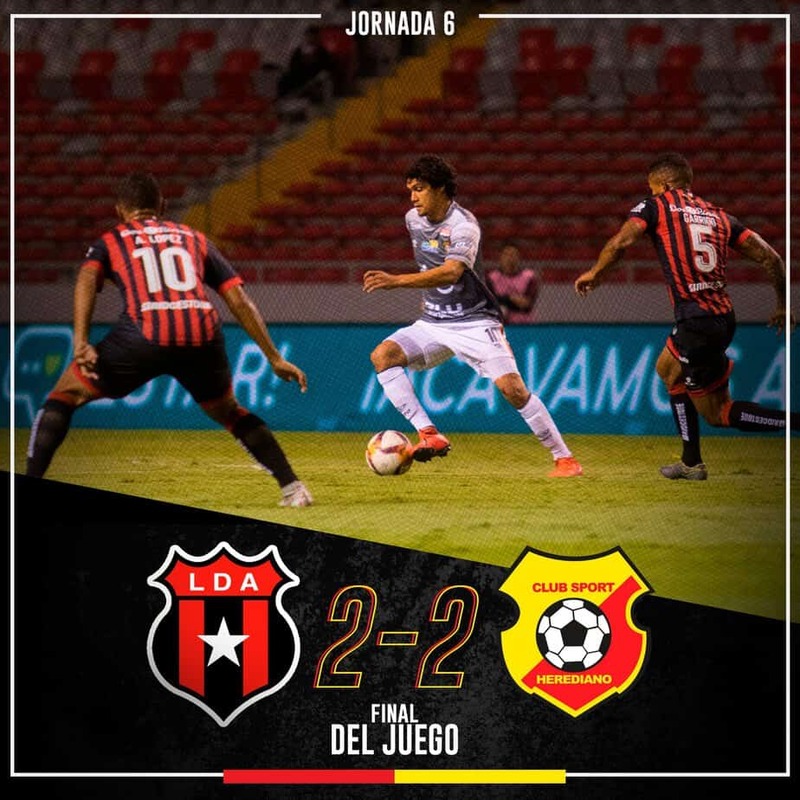 Ten winning students came from Escuela Colonia Bolaños, five from Escuela Huacas, two from Escuela La Garita Vieja, two from Escuela Santa Rosa, and one from Centro Educativo Educarte de Costa Rica. The contest award ceremony was held on a breezy poolside patio amid colorful bunches of flowers and the chatter of birds at the Best Western Camino a Tamarindo, which the Ashleys own. Despite the buzz of excitement among students and adults alike, education and conservation remained the focus of the event. Gabriela Gutiérrez Ruiz, coordinator of the ACG’s Biological Education Program, led the students through a presentation explaining the life cycle of the tiny parasitoid wasps that now bear their names. She explained the long process of identifying these new species, which began when the parataxonomists collected the insects from the forests of ACG and later required genetic and morphological analysis of the specimens by the Biodiversity Institute of Ontario at the University of Guelph. Richard Ashley spoke about biodiversity, likening it to a machine whose parts all depend on the success of the others, and emphasizing the importance of understanding all parts — and species — of the earth. “A very wise man once said that curiosity and imagination are two of the most important human traits. Curiosity may take many paths, but at the end of those paths is a reward. That reward is knowledge. 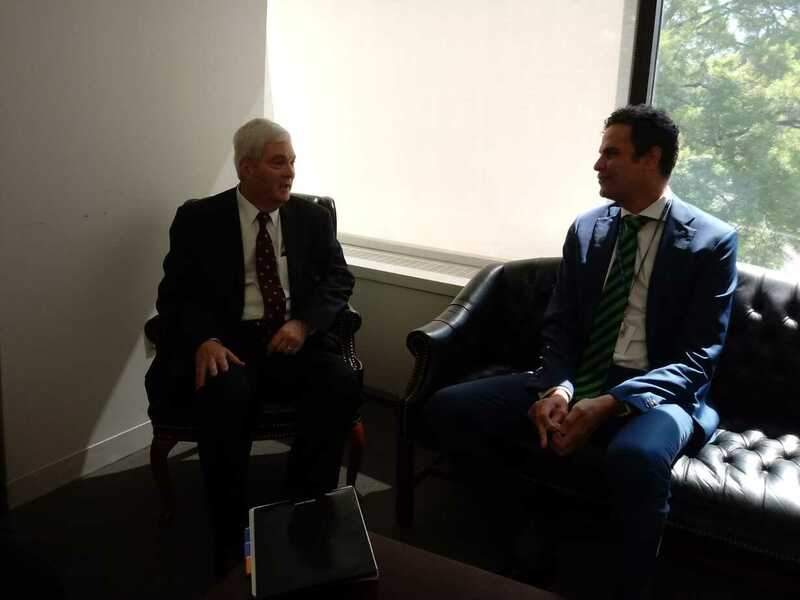 The honors you receive today are symbolic of that curiosity,” Richard Ashley remarked. “By having a species that bears your name, you have begun down the path to being curious about your species and now you have the responsibility to help it survive, and survive, and survive,” Richard told the children. 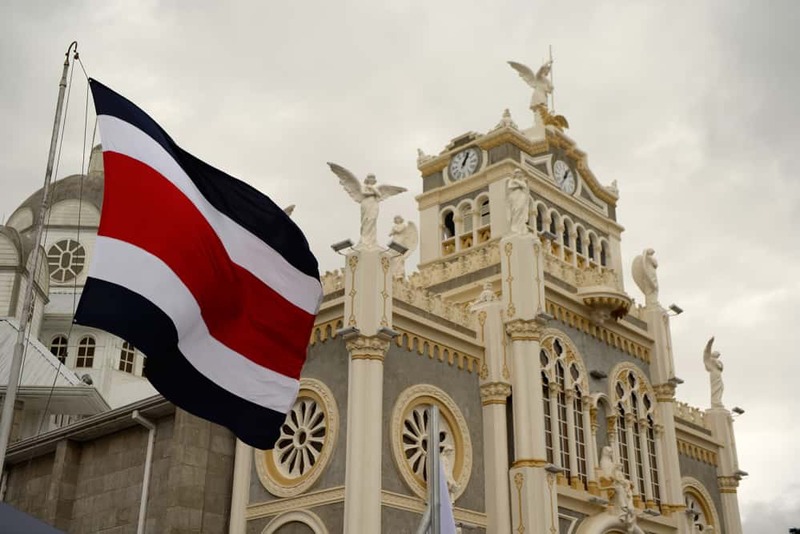 In total, 25 species were dedicated at the ceremony: 20 for winners of the drawing contest, one each for Richard and Rita Ashley, one each for the directors of Escuela Colonia Bolaños and Escuela La Garita Vieja, and one for an environmental educator from ACT. 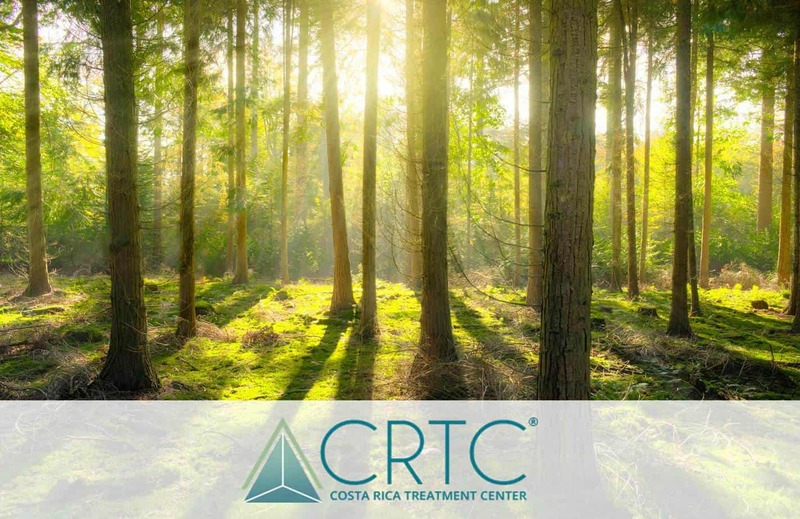 The final phase of the contest comes in late January, when the 20 contest winners will be invited on an educational tour of the rain forest in ACG’s San Cristóbal sector led by the Biological Education Program, Drs. Daniel Janzen and Winnie Hallwachs and four ACG parataxonomists. With any luck, the kids will see some wasps they know by name.